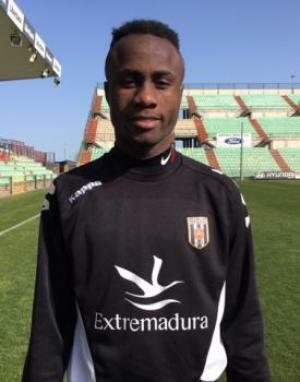 Ghanaian midfielder Isaac Nana Asare has joined Spanish second-tier side CF Badalona, GHANASoccernet.com can exclusively report. The 24-year-old sealed the move on transfer deadline day last month from Mérida Ad . Asare made his debut on Saturday in the 0-0 home draw with Club Deportivo Teruel when he came on as a 58th minute substitute. He came on to replace Miquel Robuste. Asare has previously played for lower Spanish sides RSD Alcalá and continued in Rayo Vallecano B, Atlético de Madrid B, RC Recreativo de Huelva, Cádiz CF, CF Fuenlabrada, Mérida Ad.